It was great! The first day we went out to the fishing village we do children's church at, while other teams went to other point around the city. We passed out flyers for the evening service and prayed for anyone who was sick. We stopped at this house and prayed for the mother, Buddhist, of one of our church members. She could barely walk or stand up, her knees and legs hurt real badly. We prayed for her for just a couple minutes and then asked her to get up and walk around. She stood right up and was walking back and forth with no problem. There was such shock, surprise, excitement, and joy all over her face. She couldn't believe it. She kept sitting down and getting back up and walking, over and over. It was incredible! Then she called other people in her house to come and get prayer too. They all felt God touching them and their pain either was completely gone or mostly gone. 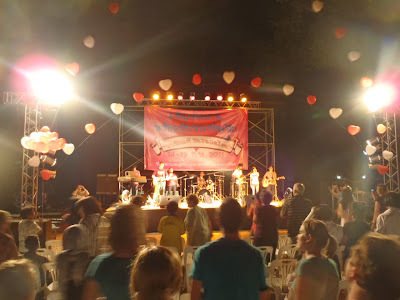 Then we had the event at night on a big stage in the middle of town at a big park. 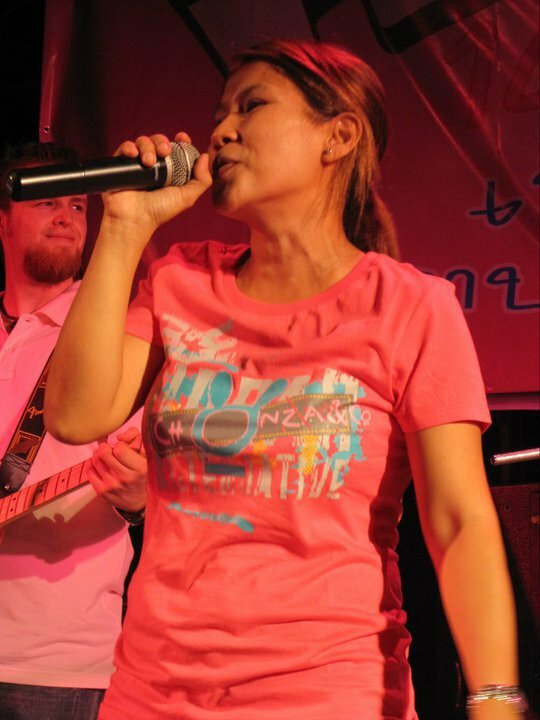 The Thai band (including Pook) played some songs, a YWAM team did some skits and testimonies, and then Pastor Paul spoke about God's love. Then invited upfront anyone who needed healing and we were released. 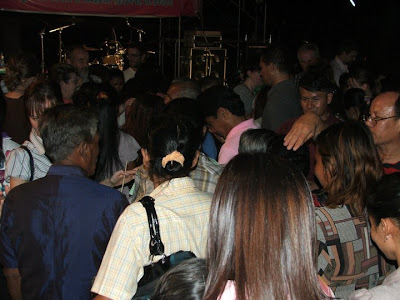 Many people came forward and many many were healed!!! God's presence was definitely there! On day two we went to the mall and passed out flyers and other team members went to other parts within the city. Then we had the big event again. We saw people we had prayed for earlier in the day come which was really exciting, and some of our university girls came also. The mother we prayed for with bad knees showed up walking around just like normal, it was so wonderful to see her. She is eager to come to our church Sunday to learn more about this God that healed her. We made friends with 3 other people who just stumbled upon what we were doing and they really got touched by God and want to go to our church on Sunday!!! The Harvest truly is plentiful! The week-long festivities were wonderful, but busy. It was so good to see God move and encounter His children. the mother who got totally healed!!! It was so exciting! 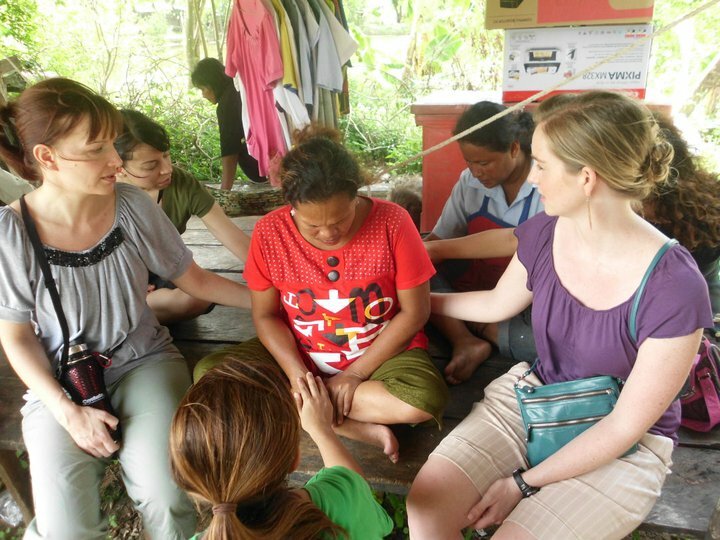 these women followed us around and finally got up the courage to ask for prayer as well. The people were coming to us! This woman was beaten by her husband and had many back issues. Prayed for her and she felt totally better, moving all around- stretching and bending. She was so joyful!!! My sister- such a great singer! Lalita, right up there praying for people, she loves to do that. Our university girls and two new friends! Good lookin' group!